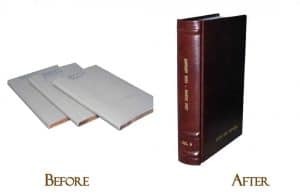 We can make a book by taking your existing printed materials and bind them into a beautiful custom book. 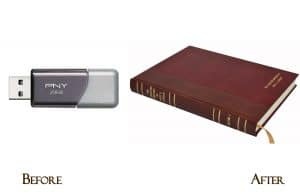 We can make a book by taking your "flash drive" or send us an electronic file. 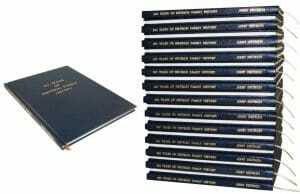 We can print and bind the pages into one or more custom books. 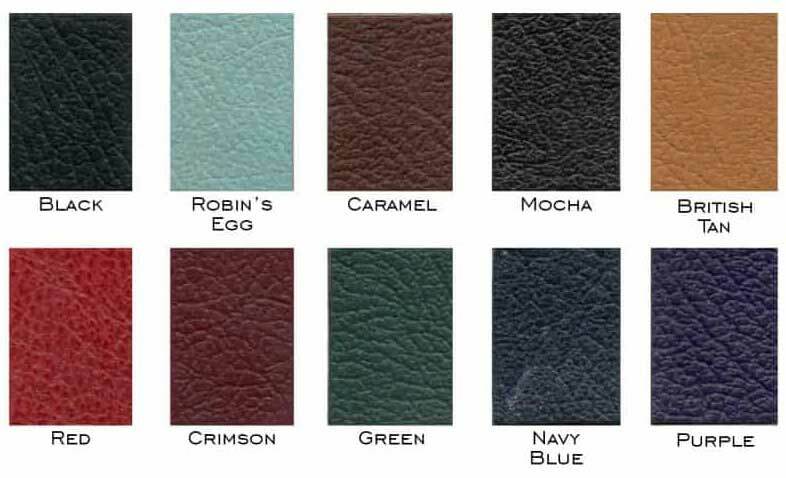 Our customers love our bonded leather selections because colors and textures are virtually unlimited. 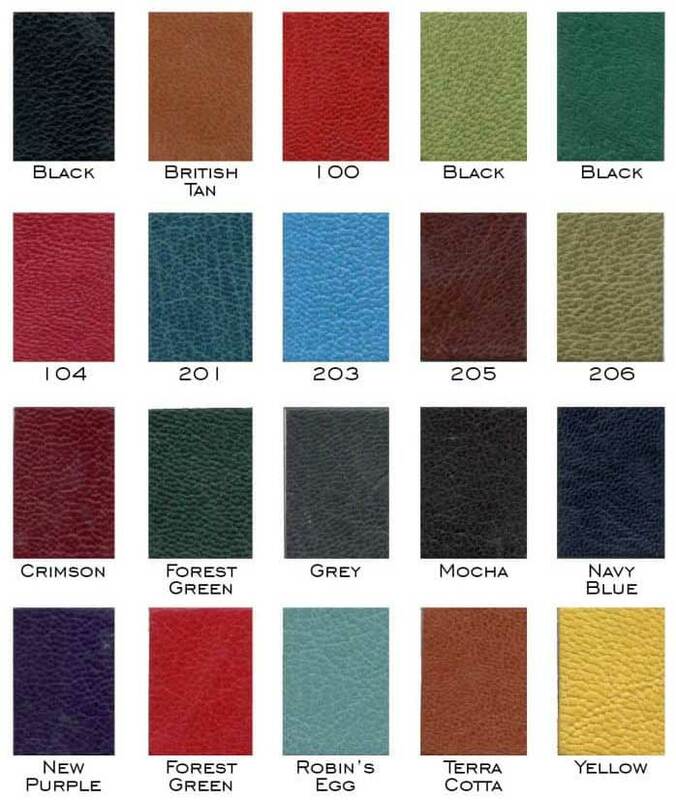 Our bonded leather source is among the best in the industry. These leathers look, feel and smell like genuine leather and cost less. 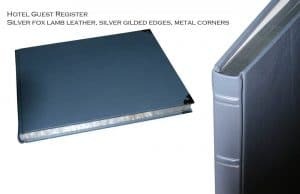 Our supplier tells us that the products are soft and smooth with a true fine leather aroma because the manufacturer produces these products on the same equipment as their genuine leather products. The cowhide fibers used to make bonded leathers are from the tanning process when hides are brought to a uniform thickness. 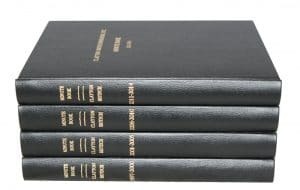 How a customer intends to use their book is a consideration of selecting the type of new cover material. 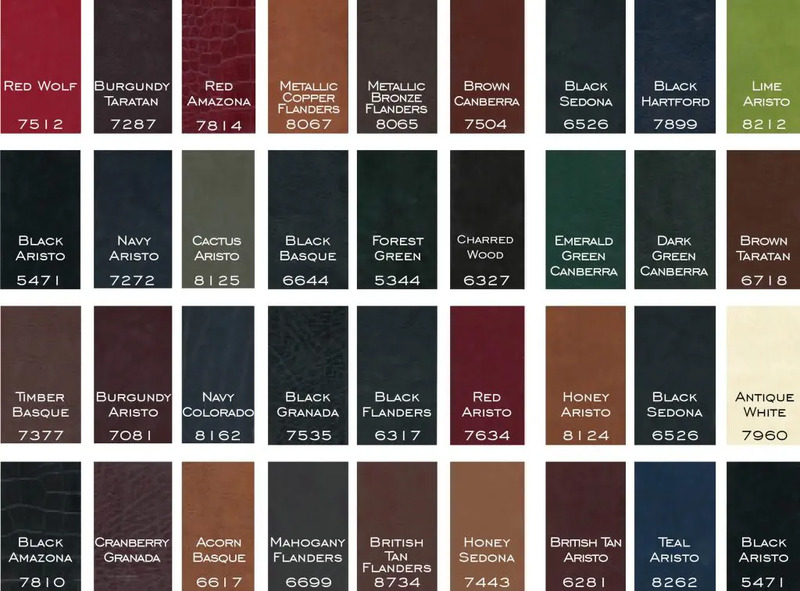 Bonded leather can be damaged if exposed to excessive direct sunlight and/or excessive heat. Strong and elegant with a lusciously soft feel. Sokoto Goatskin or River Grain Goatskin are our most durable and beautiful covers. We have found these to be great for personalization too. These are the finest vegetable tanned goatskins in the world sourced directly from Nigeria. 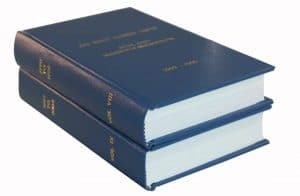 What other Options or Extras are available when making a book? Satin page marker ribbons: Customer selects color(s) and the number of ribbons is dependent on the thickness of the book block. 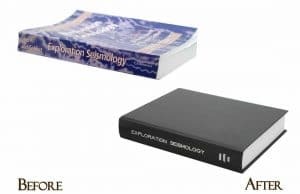 Foil Stamping and Debossing Options to personalize: Foil Stamp or deboss on the cover or Spine text, names or images. To learn more, see our Hot Foil Stamping page. 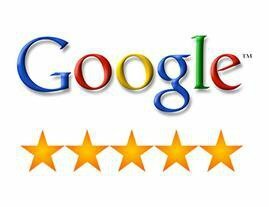 Click on one of the links below and let us show you what we can do. If you want to see a video on how we create custom books, go to Make a Book Video. Make a Book projects: What can we create for you? 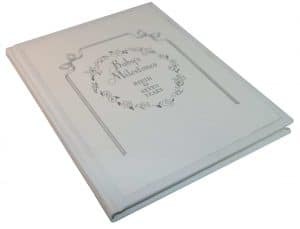 At Bella Becho we often receive inquiries about creating custom books. 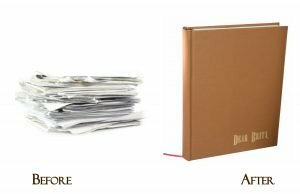 Our bookbindery has the flexibility and the creativity to help! Other custom books and bindings. Virtually any printed design, logos or graphic art can be incorporated into a project. Customers have extraordinary flexibility in creating their own personalized projects. 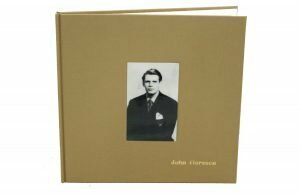 Here are some images and video of how we made a beautiful custom album for a customer who asked us to make a book of her child's art and school work. 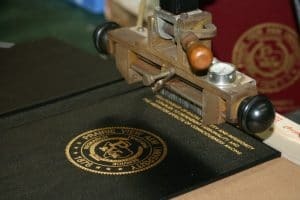 This is a custom bindery project that required hand sewing of pages. 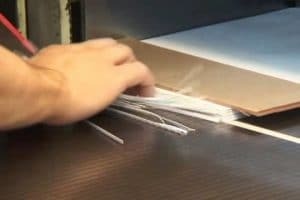 There are different methods of binding. 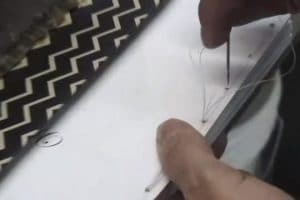 Our preferred method is hand sewing. Pages are trimmed in the hydraulic cutter. 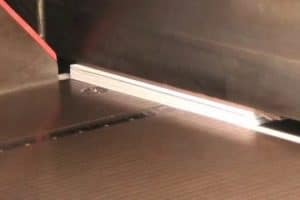 This cutter can apply thousands of pounds of pressure for a uniform cut with a sharp blade. After the cut, the trimmings are removed. Sides will be trimmed. Special dedication page containing the title and personal message that can be printed and bound into a book. Leather cover trimmed to size. 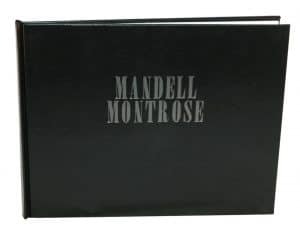 There are many types of coverings available for albums and books. Just ask! 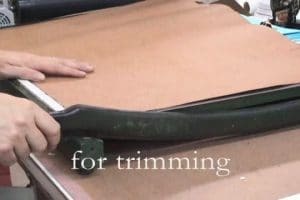 An industrial adhesive is applied using a special machine for even application. 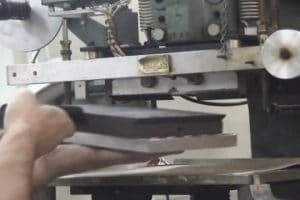 Our custom books are handmade, not by a cookie cutter machine. This means our albums have a great look and feel. 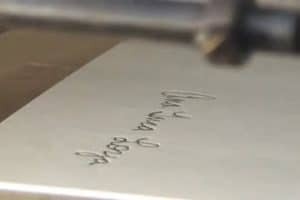 We scanned a handwriting sample to create a magnesium die for the foiling machine. 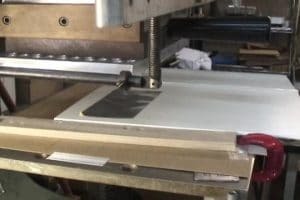 This machine can be fitted with a special custom die of a logo or a signature. The hot foil machine is prepared to stamp the silver foil with a beautiful custom touch! 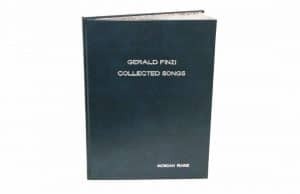 We can use our binding process on virtually any other collection of photos, drawings, and writings. 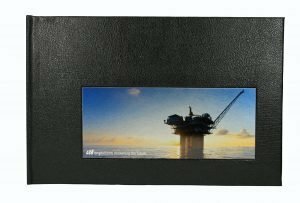 We can create fabulous gifts combining pictures with paper products into any book. A custom signature is reproduced on the book! 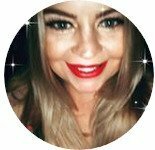 Need help with some ideas? 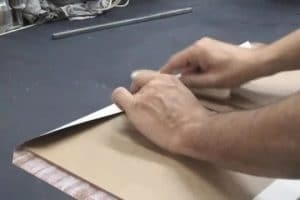 Give us a call or come down to our Houston warehouse and see our book bindery in action! We are here to help.